The Cherry Tree is an award winning manufacturer of chutneys, jams and pickles in the UK. 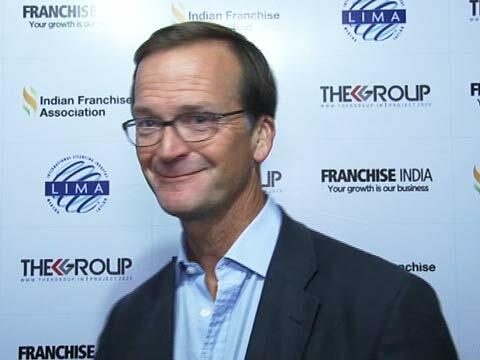 In an exclusive interaction with Restaurant India, Jeremy Moore, Director, reveals his entry into the Indian market. When can we expect to taste the Cherry Tree products in Indian market? We are going to enter the Indian market within next 3-4 months and then you can have a taste of world class sauces, chutney and jams. What market would you target in India if you enter the space with intense competition? We will be targeting all customers who are a good taste lover. Brands like Cremica, Tops and Kissan have over 75 percent of market share in this segment. What will be your unique marketing strategy for Indian market? The product that is being sold in India in the retail and the super market space is completely different from our products because we are selling directly to the consumers. So, it is all about getting the consumers to taste the product because they are the one who decides on your products and rates them in the market accordingly. The marketing strategy will be done by ‘K Group’ who will be our local partner. However we passionately believe that the marketing is done by the product. The product sells itself, if you have a brand that is selling to the general public from a super market shop; your product is well marketed. But, Cherry Tree has a different concept it markets it product by the taste it provides to the customer. What is the price point for your products in the Indian market? Our product will cost around 400 for a 230 gm pack of chutneys and Jams. You are manufacturer of world class chutneys for over 30 years. How do you see the food industry evolving all the way long? In the last few years the quality of food has increased in the UK. Few years back, people were not much aware about the quality and hygiene of the food; rather they wanted the traditional tastes. But today, the food has expanded beyond the geographical boundaries. A lot of new products have been developed and included in the diet. And, I think that it is really taking us forward as a food nation. What are the types of chutney’s, Jam’s and pickles that you manufacture? On the jam front we manufacture, strawberry jam, black currant jam, apricot and marmalade which are very traditional English product manufactured from oranges. As far as, chutneys are concerned, our recipes are decided by famous Indian chefs from hotels in London. Our best selling chutney is spicy tomato and caramelised onion. How do you preserve them and keep them fresh? We do not use any artificial preservatives for the product. To increase the shelf life, we heat treat the product, pasteurised them and a recipe sugar is added by the nature of the product and it gives a 3 years shelf life to the product. You sell your product through franchisees. How do you manage the supply chain process? We are the manufacturer of the product in UK, K Group will be importing the product to India and they will be managing the local franchisees and relationship directly. From where do you source the ingredients for your product? From indigenous source or from global landscape? We source the best quality ingredients for our chutneys, jams and pickles from over the world. Some are sourced locally from UK and others are sourced from Scotland, Australia and Europe. What technologies you use in manufacturing? We have taken the traditional home making of the products in the mothers’ kitchen. InXpress has its origins in the world's largest Business management..
About HR REMEDY INDIA: HR Remedy India is a Pune based Practical..
About Us: Millie's Cookies is an international chain of small format retail..
Digital Technology is Taking Over the Market..
How to Make the Most Out of Festivities..
Ruling the Hotel Industry Via Franchising..
How to get VLCC Franchise..
​How to Market Business Offline..
How To Avoid Disruption In Sales..
“Birds and Animals Serve As our USP”..
Diversity in Education in Foreign Universities..
All our spices are homemade: Parambriym..
What Makes Internet of Things Favourable.. Taking the ‘Practical Fashion’ Footprint Forwa..
How to Save Your Brand from Crisis..
Ways to Build Business Relationship..
Got an Asset? Turn it Into a Successful Business.. Celebrating Beauty the Organic Way.. Importance of Brand Building Campaign..
Benefits Of In-App Ads In Beauty Franchise.. Focusing on Needs of Consumers.. This New Restro Bar Has A Marketplace Too!.. How to Start an E-Commerce Business..
A To Z Of Franchising..